Purchasing this item will earn you 12650 reward points (Reward Points Rs. 1,265.00) ! Purchasing this item will earn you 12650 Rewards points (Rs. 1,265.00) ! What if each drum in your drum set was engineered as an tool unto itself? Each tom is intended to respond flawlessly within the limits of its respective frequency without compromise over any other area of your kit. This is the assignment behind Reference Series. A complete set of independently engineered, incredible sounding drums. In 1999, Pearl began its most ambitious undertaking, The Masterworks Series, the world's first real custom drums. Designed for the player by the player. Every aspect of the developed process was custom made, from the number of wood plies, the wood selection, to the final finish. Over the last five years, through hard listening tests, Masterworks has educated us a great deal about drums and what makes the perfect shell. So overlook what you think you know about drums and take a close look at Reference Series, the most acoustically developed drums in the world. To fully appreciate the Reference Series you must recognize that the desired tonal description of a 10" tom are totally unlike than that of a 22" bass drum. Thus to use the same material in both drums would result in a compromise. Reference Series drums use a combination of task-specific bearing edges and three time-proven woods: birch, maple, and African mahogany. Using maple as a sole material has long been the conventional choice for shells and for good cause. Maple provides smooth, well-balanced tone that is perfect for a 12" tom. 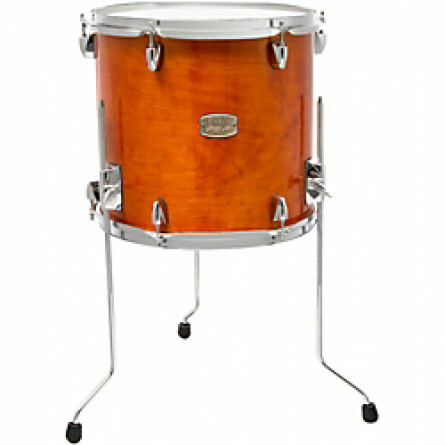 Subsequently, all Reference Series 12" toms are composed of six plies of maple; this is the only single wood shell in the series. Pearl's 10" and 8" toms receive four plies of maple with two inner plies of birch for cut and attack. And for utmost response, all 13" diameter and smaller toms have a rounded 45° bearing edge, a more determined area for head-to-shell contact to boost mid- to higher-range frequencies. Beginning with Pearl's 13" tom and larger, mahogany is added to the inner plies to enlarge the lower frequencies and emphasize the warmness of maple. The 14" diameter toms and larger begin using Pearl's fully-rounded bearing edge for even more shell contact for an enhanced mid to low range frequencies. With Pearl's Reference Series, it's not about settlement, it's about every drum in your kit performing at its best possible power. Pearl was founded in 1946 in Japan, and are a manufacturer of drums, drum shells, and assorted accessories. By 1957 they were exporting drums worldwide, and often made drum shells for other companies, some made with their SST – Superior Shell Technique. If you buy drums online, look for drumsticks online, or try to find beginners drumkit online, you’ll do well to consider Pearl, with Rhythm Traveler and Target lines. Musikshack let you buy musical instruments online for the best prices in India. Get your drums online from Musikshack. Beginning to play a new instrument can feel like a daunting task because everything is brand new to you. You want to begin to learn to play the drums, but you don’t know where to start. Can I just buy everything in one box and start immediately playing? Almost, if you’d like. But there are several parts to a drum kit that will need to be purchased separately. These are the drums, the cymbals, and the accessories. The Yamaha GM2F51 Gigmaker Shell kit is a great choice for a beginner. For the beginner, buying a drum kit that is as close to complete as possible is the best idea because it contains the least amount of hassle. What are known as Shell Packs, are the best decision for the beginner because most of what you need to get started is already included together in the same package. Some shell packs exclude the snare, the bass drum pedal, and stands, while others include practically everything except the cymbals and sticks. You will have your bass drum, your floor tom, two separate toms mounted on top of the bass drum, and a snare. There’s no headache because you do not have to choose each individual drum separately. We know you just want to get started playing and don’t have the experience yet to know exactly how you want your drums to feel when you’re playing them. Fusion drum kits are becoming more and more the standard for beginning drummers as opposed to standard drum kits because they are a bit smaller, meaning they are more compact and easier to fit closer to each other. They are more versatile, so you can try various setups and find what feels right for you. For a beginner, purchasing a complete cymbal pack makes the most sense because of its ease. A complete cymbal pack It will come with one hi-hat pair, one or two crash cymbals, and a ride cymbal. Size isn’t that big of an issue for a beginner, but if you’re more interested in playing rock, you might want to aim for larger cymbals for that louder, more aggressive sound. 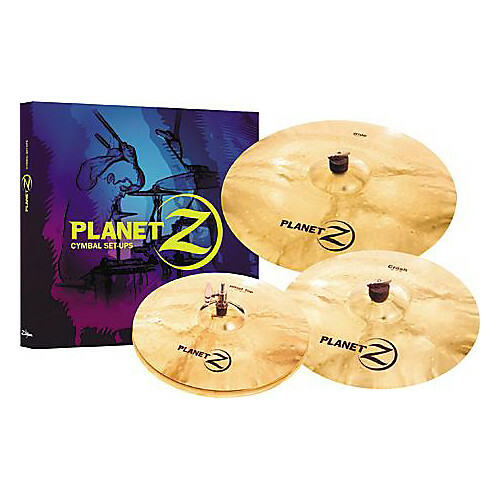 The Zildjian cymbal pack pictured above comes with a hi-hat pair (14-inches), a crash cymbal (16-inches), and a ride cymbal (20-inches). For rock and metal drumming, consider purchasing a second crash cymbal for that extra loudness. Don’t forget your accessories! 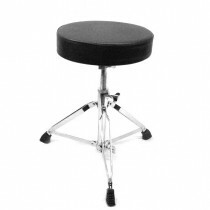 Depending on the shell pack of your choice, you may still need a seat (known as a throne), a pair of drum sticks, and stands (if your shell pack does not include them). More accomplished drummers will have a more specific and unique preference on their accessories, such as how high or low you can raise the drum throne or the specific wood and size of their pair of sticks. For the beginner, this isn’t an issue as you will be fine with the standard builds. Once you get more practice and experience than you can progress to more custom features based on what you have experienced as you play more and more. 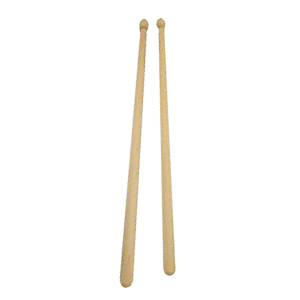 Drum sticks come in a variety of widths, lengths, and material. 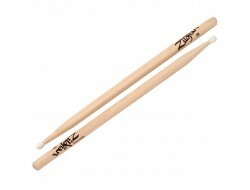 2B drum sticks tend to be the most recommended for the beginner as they have a smaller circumference then others and continue to be the most recommended by drum teachers for beginners. 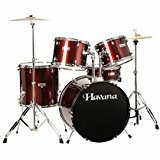 Two brands that are great for beginners are Yamaha and Tama. As their history has proven, these are two reliable manufacturers that even professional musicians use on a regular basis. Yamaha is one of the most infamous brands in musical instruments. From beginners to world-class musicians, Yamaha is a brand that has never shown a lack of quality in any type of instrument, whether it be a sound mixer, a keyboard, or a drum kit. Tama sits right next to Yamaha as well in terms of quality and a history of showing they they can make superior products. The Yamaha GM2F51 Gigmaker (pictured at the top) is a great drum kit for someone completely brand new to drumming or even someone who is already an established drummer, looking for a drum kit that is reliable and durable. It’s lower price point especially makes it a great product for a beginner, because although it is affordable, you are not sacrificing quality for price. This Tama kit already includes stands and a drum throne as well as the five drums. From there, you would only need a pair of sticks and a cymbals and you are ready to go. 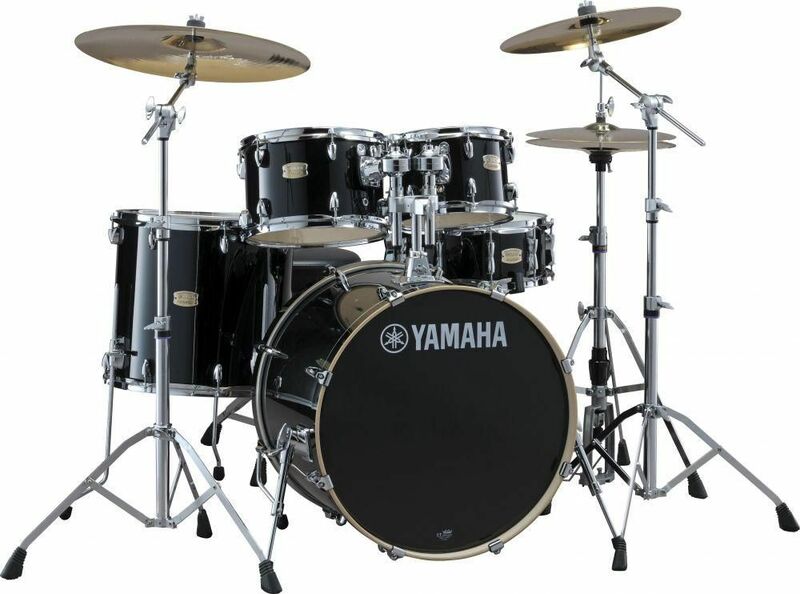 The Yamaha and Tama brands are a no-brainer for the beginning drummer looking for his or her first drum kit. You might also consider buying a pair of over-the-ear headphones if you’d like to start playing along to your favorite songs while listening to them. Once you’ve developed some drumming skill, you might want to switch out a cymbal to a larger size or choose a new drum throne that fits with your setup the way you like it. These are preferences that you will learn over time, as your skill and play time progresses. Let’s just face it guys, No matter how great guitarist, singer or bassist you are, or even if you are that Andy McKee type percussive guitar player; you cannot avoid drums in your music... Regardless of genres you play, you always need drums. Let’s just face it guys, No matter how great guitarist, singer or bassist you are, or even if you are that Andy McKee type percussive guitar player; you cannot avoid drums in your music... Regardless of genres you play, you always need drums. It can be for live, rehearsal or studio recording; a drum set is a must. But why this fantastic instrument is so rare to find nearby? Why do musicians shy away to buy this awesome instrument? See, I am not a drummer; hence I am not a Drum purist. I am a producer, so I will definitely look for the best options you can have in the instrument with little or (preferably) no fuss at all, available in the market; alright? So don’t “OH YOU DONT KNOW (any generic feature) OF AN ACOUSTIC DRUM SET” to me. Because when a producer researches about the instrument, He does it all. Well, he might skip a few, if it doesn’t affect its music production. Like for example, “I want beech shell sound”; nope I’d definitely skip that feature because I am looking for interesting drum beat that will go along my music and not the tone which I can always EQ in post-production. But if it’s something like you need gravity roll or blast beats in one of your songs; I definitely won’t rely on the electric snare that comes with the e-Drums (not saying that e-Drums cannot handle these techniques; I just don’t prefer to). Hence there are always Pros and cons of counterpart s when looked in detail... So let’s just dive into these things right away! E-Drums- It’s just a ‘Thwak’ when you hit an e-Drum, no matter what you hit. Ideal for drummers living in apartments, especially if you practice at late night or early morning. Your neighbours can hear a light thud but defiantly won’t lodge an F.I.R. However, they are not sensitive to how hard the drummer is playing (high-end models excluded). E-Drums- Drum tuning is out of the question and always has studio quality drum preset sounds. 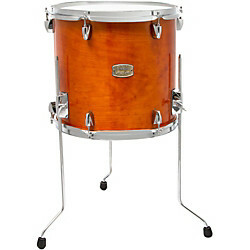 A-Drums- If you have a tight budget, don’t expect quality. All the factors including workmanship, shell material, head material etc comes into picture when you opt for an acoustic instrument; ask any random Pianist in your vicinity to confirm this thing. E-Drums- One cable, hook it in your PC and you are done! A-Drums- You need 2 condensers for ambience and cymbals, 5 drum mics (1 for snare, 1 for hi tom, 1 for low tom, 1 for floor tom and 1 for Hats) and 1 for bass drum. Wait we are not done yet, one 10 channelled mixer and finally 1 interface! E-Drums-It has the ability to practice along to music from an mp3 player and mix the volume levels of both the set and the music. With a good mix it can seem like the drums are a seamless part of whatever band is being played along to. Drummer can practice almost anywhere and at anytime due to its low sound levels. Continual practice on the electric set can make an acoustic set feel foreign. This will depend on quality of the electric drum set and how close it mimics the feel of an acoustic set. A-Drums-Acoustics sets are used more in public events. The drummer will be more prepared for this by practicing on an acoustic set. Requires a sound studio and microphones for a quality recording. E-Drums- You get an array of drum presets, so you fit in any band of any genre. It’s portable like a key! Well maybe not like a key, but definitely portable and compact when compared with Acoustic set. But it requires sound systems. A-Drums- Audience enjoys the power and looks that an acoustic set brings to the stage. Band members will always be able to hear the timing given by the drummer even if the sound system malfunctions. However other band members need amplification when jamming with acoustic drums. One puny acoustic guitar would be shred into pieces without amplification. E-Drums- Depending on the quality of electric drum set parts can last a very long time and may never need replacing during its entire life. Replacing heads or other parts is usually very expensive or impossible if the company of the set does not offer it. It is best to go with a well-established company such as Yamaha or Roland if you want to find parts. A-Drums- Acoustic drum heads are less expensive and easier to find then electric. Can change the look, feel, and sound of the set depending on what parts you purchase. 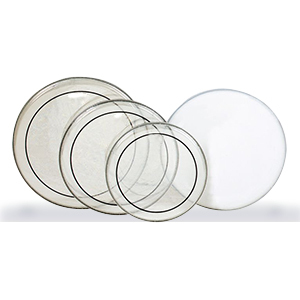 Drum heads should be replaced often to maintain quality sound. The biggest motive why drummers more often prefer acoustic sets over electric is they each feel very different. While the electric drum set technology has come leaps and bound in the last 20 years it has still not reached a level where the drummer can feel like he is playing the same instrument whether it is acoustic or electric. Despite this; the electric set has many redeeming qualities. It gives complete control over volume, which has always hindered the ability of drummers to practice when and where they desire. It also allows for quality studio recording with minimal equipment, and the ability to choose from hundreds of different sounds is also a huge plus. For beginning drum students trying to decide between an acoustic or electric set I would recommend that they evaluate their situation first. Ask yourself if volume levels are going to affect your ability to practice. If not I would go with an acoustic set. If you are eventually planning on recording or don’t want to tick off the neighbours I would highly recommend an electric drum set. Just remember to get experience on an acoustic set when the opportunities present themselves so you are versatile on both. Tornado of beats! Get your stages rocking with the tornado of beats…learn about the Mapex Tornado Drum Kit that is packed with all essentials and features to make the fun happen live on stage… Made of basswood, wrap style finish, cymbals inclusive… with a floor tom, rack toms, snare…all for your enlightenment. My guess is that you already know Mapex drum kits are played by some of the most prestigious names in the drumming world, right? Despite its credentials as a ‘tool of choice’ for pro players, the brand builds quality kits at beginner level, too. The Mapex Tornado kit is great example of this; so, to get any Mapex kit is impressive. To get an entire drumming set-up is even more so. BEATS! BEATS! BEATS! BEATS! BEATS! BEATS! BEATS! BEATS! Yea, enough of that already, all I wanted to say that – Hello drummers, here is the mapex tornado (Nowhere near epic-ness; is it now?). My guess is that you already know Mapex drum kits are played by some of the most prestigious names in the drumming world, right? Despite its credentials as a ‘tool of choice’ for pro players, the brand builds quality kits at beginner level, too. 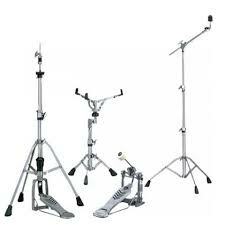 The Mapex Tornado kit is great example of this; so, to get any Mapex kit is impressive. To get an entire drumming set-up is even more so. That the kit is of such high quality is the biggest surprise of all. This is a perfect kit for anyone who would like to take his or her first steps towards becoming a drummer. Tornado drum shells are made from hand selected basswood ply's and all kits feature ball and socket tom holders for ultimate positioning and double braced hardware throughout. They also include a matching wood shell snare drum, hi hat sticks and a crash/ride cymbal so you really do have everything you need to get started. Mapex also builds great hardware. The Tornado kit comes complete with a full set of its 200 series, double braced hardware. This includes a cymbal stand, hi-hat stand, ball and socket rack tom mount (which enables easy positioning of kick-drum mounted toms), plus kick drum pedal and drum throne. The kick drum itself is equipped with retractable bass drum spurs, making changing skins a more straightforward process. 100% Convenient eh? To ensure that you have everything you need to start drumming, cymbals are also included. A crash/ ride cymbal and hi-hats provide the essentials you will need when you begin to learn how to play. And you jolly well know how important it is to have it all in one go. Based around a standard 5-piece arrangement, it comprises a 22”x16” kick drum, 10” x 8”, 12” x 9” rack toms, a 16” x 14” floor toms and a 14” x 5.5” snare. These are constructed with 9-ply poplar shells, providing great tone and tough build, to boot. The Tornado kit features a wrap style finish. This cover of black vinyl is highly durable, and ensures that the kit is keeps its great appearance, whilst protecting the shells beneath. The kit is ready to head from rehearsal to show and back time and time again, standing you in good stead as a busy musician. Forever at the leading edge of drum design, Mapex have re-designed the adjusters and holders of this kit, meaning you can be sure you will be find the optimum position for your gear, and most importantly, that it will stay there throughout your gig. Crucial to truly great playing, take your time to set up your kit so the entire range of sounds is at your disposal at all times. The Mapex Tornado is one of the best selling drum kits worldwide, offering players a quality kit to begin their drumming career. A complete double braced drum set, this is a highly durable kit that comes with cymbals, hardware and a drum throne straight out the box - everything you need to make a great start playing, and keep playing, for years and years to come! © 2015 Musikshack.com All Rights Reserved.